It was a fascinating game, and much was learned… although, if you’ve listened to this week’s podcast, you know that not ENOUGH was learned. Still, give it a read if you want! Welcome back! Wait, we’re back, you folks have always been here… well, welcome back to us! This week’s podcast is the audio to attend Darrell’s excellent writeup that went live last week, and it was a joy to be recording again! Without further ado, our first podcast for 2016! Woo! Battle Report 103: eThagrosh vs eMadrak 50 pts. Runes? Where We're Going We Don't Need Runes. Welcome dear readers to another Combo Smite battle report. This week we’ve got Nick’s Legion of Everblight up against Darrell’s Trollbloods. Additionally Darrell and Nick had a talk before the game and Darrell agreed to not drop Runes of War! Why, do you ask? Well, Runes has been on the podcast several times, on the video battle reports several times and quite frankly Darrell is sick of playing Runes of War despite it being the proper drop in his current list pairing. 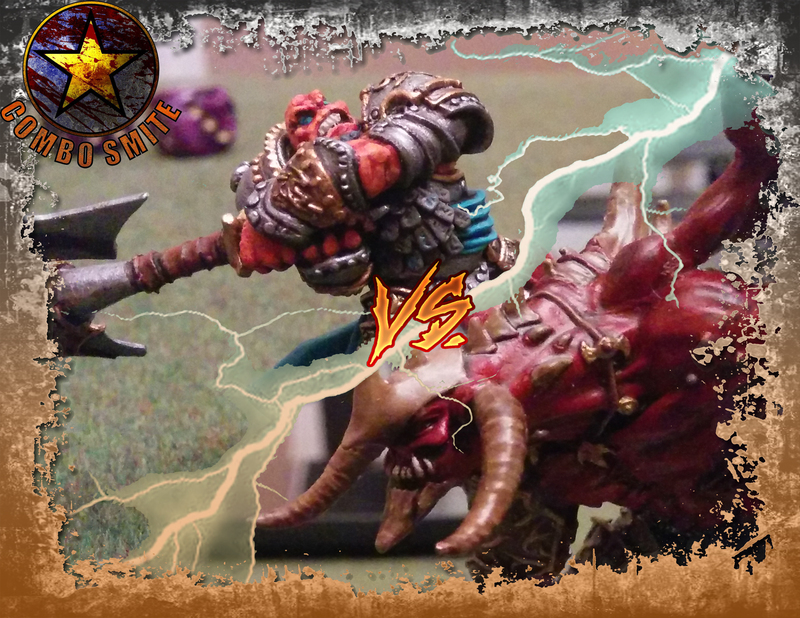 So in the interest of umm, making things interesting we’ve got eThagrosh vs eMadrak in an eBattle of the eTitans! Battle Report 103: eThagrosh vs eMadrak 50 pts. Runes? Where We’re Going We Don’t Need Runes. Battle Report 101: Cygnar (Nemo3) vs Trolls (eMadrak) – Turns out SPD6 is better than SPD5! Ah, it feels good to be writing and playing actual battle reports again! Especially if it’s an excuse to pull out one of my favourite Cygnaran Warcasters, good ol’ Nemo3! And hey, if Darrell feels like dropping eMadrak and all his weaponmasters into my list… what could possibly go wrong!? This past weekend another tournament was held at The Game Chamber. This was a qualifier for the World Ender Invitational being organized by Party Foul. It was a great event and we were there to take some video Footage.